Drafting is as much about the tools that are used as the talent of the individual. The right tools can ensure professional results every time. They make drafting much simpler. Anyone just starting should own a few basic drafting supplies. Drafting requires precision and clean lines or angles. This is why some of the most basic supplies needed are straightedges and triangles. A large straightedge with a non-slip back is needed. A similarly sized T-square is also needed to create lines perpendicular to the edges of the paper. At least two triangles with different sets of angles are required to get the best results possible when drafting. These supplies will take care of most larger angles and lines regardless of what drawing tool is being used. A full set of French curves is required to start drafting. French curves provide a way to create a wide range of consistent curves and arcs. They can be aligned freehand on any paper to match up with existing lines or shapes. A second necessary supply is a set of templates. Most drafting professionals have a large range of templates for every situation. The best templates to have when first starting should contain a range of circles, ovals, triangles and squares. It can also help to get specialized templates with commonly used electrical, flowchart or drafting shapes. Drafting cannot be done on a flat table or irregular surface. This is why a drafting board or table is needed. A drafting board is good for those just starting. 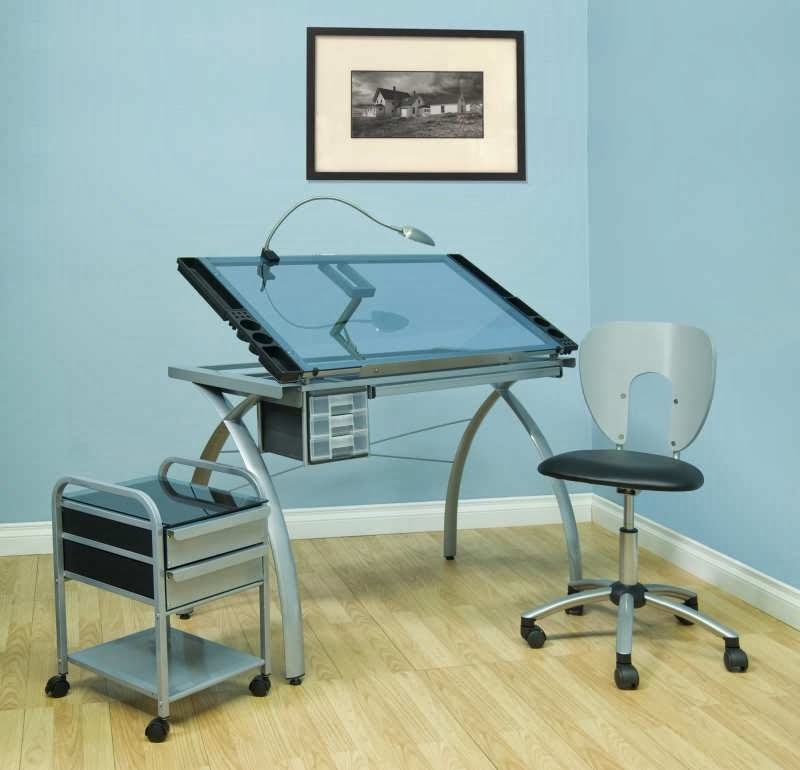 A drafting board has a perfectly flat surface with edges aligned at right angles. This makes it possible to tack down paper and use T-squares or other items with the board. The drafting board needs to be angled up at the top when used to prevent distortions of perspective that could affect the final drawing. The final two drafting supplies needed to start are technical pens and lead holders. Technical pens provide a consistent line weight when used regardless of how much pressure is applied. They also work with some other drafting tools like compasses. Lead holders are the standard for drafting because they last for a long time, are precise and can be erased if mistakes are made before inking the drawing. Be certain to get a lead pointer to sharpen the leads.